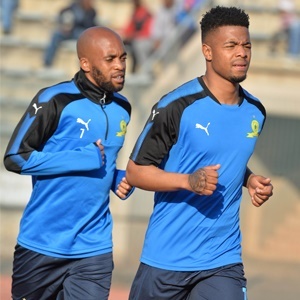 Cape Town - Mamelodi Sundowns will seemingly be grateful for the international break as seven first team players in head coach Pitso Mosimane's squad are working their way back from injury. Midfielder Oupa Manyisa, winger George Lebese, forwards Yannick Zakri and Anthony Laffor, goalkeeper Thela Ngobeni as well as defenders Rivaldo Coetzee and Soumahoro Bangaly are all out with a variety of ailments. The seven stars all missed Sundowns' 1-0 victory over Platinum Stars on October 1 although they all will now have over two weeks to recover from their injuries during FIFA's two-week international period. "Upfront the Brazilians will be without Anthony Laffor (foot) and Yannick Zakri (Ankle), while Oupa Manyisa (Groin) and George Lebese (Bronchitis) are the sidelined midfielders," a statement read on Sundowns' official website. "In Defence Soumahoro Bangaly is doubtful with a groin injury. Rivaldo Coetzee is still sidelined by the foot injury. In the goalkeeping department, Thela Ngobeni is the only missing one with a groin injury." Sundowns next face Kaizer Chiefs on Tuesday, October 17 at Loftus Versfeld Stadium which could be a crucial encounter for both teams in the Premiership.